We are so excited to welcome Clash of the Grandma contestant Sandra Sallin as our #FoodTVChat first guest chef of 2017! So, Happy 2017 from Diva Foodies and please join us tonight, January 12th at 7PM Eastern/4pm Pacific for what we are sure will be a fun filled #FoodTVChat. We had the pleasure of speaking to Sandra this week and can tell you first hand that she is just as delightful and charming “in person” as she was on Clash of the Grandmas. You won’t want to miss the opportunity tonight to meet Sandra yourself, so here’s a little more about Sandra to help you get ready for #FoodTVChat. So Sandra is an artist by day who happens to have a passion (and considerable talent! )for cooking. As an artist she is quite renown with features in Architectural Digest, Artist’s Magazine, and the Los Angeles Times to name just a few and she has exhibited her work all over the country. She initially learned to cook by sitting on the kitchen counter and watching her mother. She refined her technique by watching Julia Child, collecting what she says is an embarrassing number of cookbooks (we hear you!) 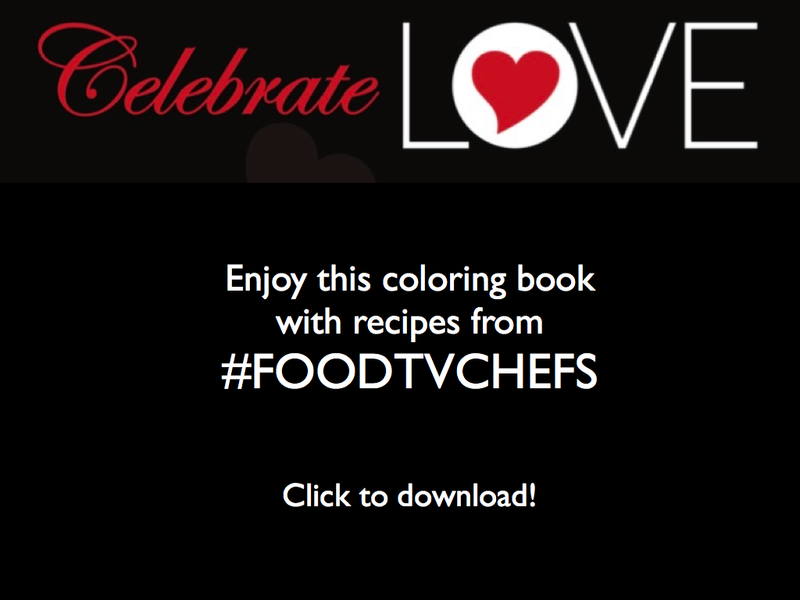 and taking cooking classes with Giuliano Bugialli in Tuscany, Barbara Kafka in NYC and Jacques Pepin in his home in Connecticut. Even after her impressive training, Sandra writes that the worlds’s best cheesecake recipe belongs to her mother. And speaking of Sandra’s writing, she also writes an amazing blog, Apart From My Art –Obsessions of an Artist Obsessed. 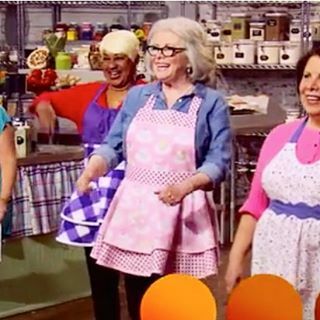 There you will be able to read all about Sandra’s fascinating life from her guilty pleasures to Wrath of Kahn death threats, being a Blogher Voices of the Year honoree and of course her time on Clash of the Grandmas. 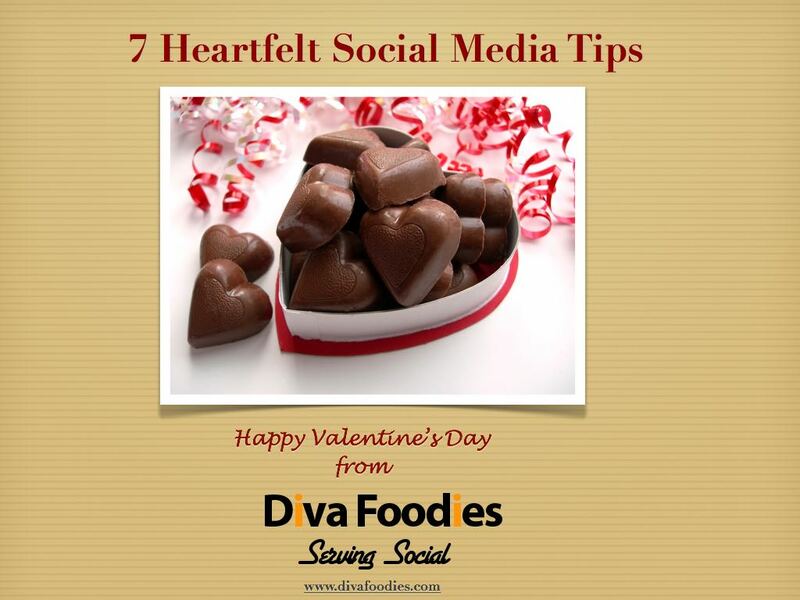 You can connect with Sandra on Facebook, Pinterest, Instagram, and of course Twitter. And be sure to subscribe to her awesome blog, Apart From My Art! 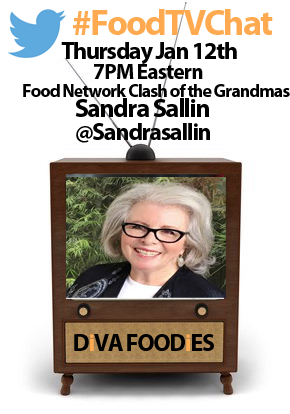 So please join us tonight, 7PM Eastern/4PMPacific for #FoodTVChat with Sandra Sallin. Bring your questions and your sense of humor and we guarantee you will not be disappointed. See you tonight!